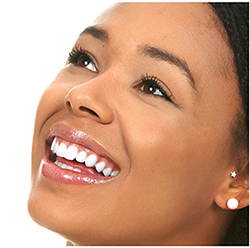 Inlays and onlays are types of restoration that are custom made tooth fillings. They can be created by either composite resin, porcelain or gold and are made by a dental laboratory and attached by your dentist. They are usually best for the posterior chewing surfaces of your teeth and are used to repair teeth that have big and defective fillings or been damaged by decay or trauma to the face. Inlays are indirect tooth fillings indicated for caries located at the center of the occlusal table. All the walls are intact, so the margins of the filling material are bound by the natural teeth. Onlays are indirect fillings indicated for caries that extend towards one or more walls of the tooth. The margins of the restoration can extend to cover the natural tooth and depending on the decay or fracture, it is sometimes referred to as a partial crown. Compared to traditional fillings which are performed in the patient’s mouth, inlays and onlays are indirect restorations. These are custom-made filling material fabricated on a dental cast in the laboratory using gold, composite, porcelain or ceramic.